The processes in assembling technology range from gluing and joining of the ceramic disks to mechanical finishing, such as lapping and grinding for minimal geometric tolerances, through to soldering of contacts. 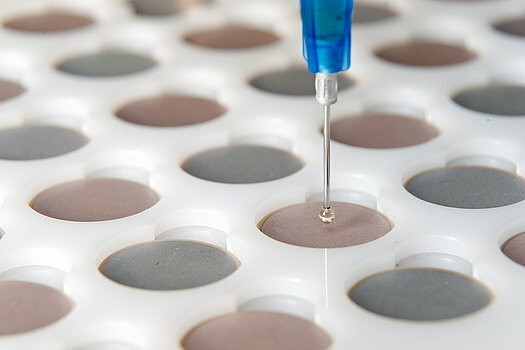 No matter whether individual piezo elements are processed further or whether complete actuator modules need to be manufactured – PI Ceramic has the necessary know-how to realize customized adaptations in the shortest of times and highest quality. An individual piezo element can – when glued to a membrane or metal disk – be used for sensor or pump applications. Gluing of the piezo component is a critical stage in the process with a decisive effect on the properties of the final product, such as overall resonant frequency and stability. In serial production, the joining and gluing processes are performed with fully automated equipment. Specially developed dosing and positioning systems are employed for complex special designs to ensure an even and high quality layer of adhesive. 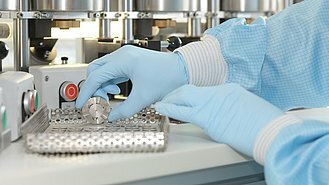 The selection of adhesive and the curing conditions are optimized for the respective product and its material properties. 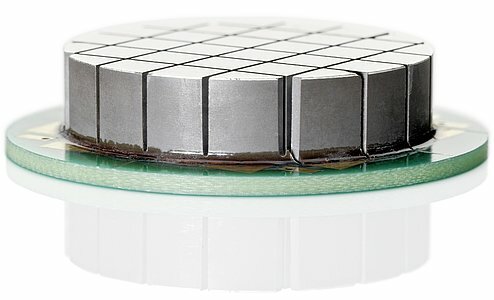 Several piezo ceramic elements, such as disks or plates, are stacked and glued to stack actuators for a greater displacement. These are then fitted with contact electrodes and an outer insulation layer of polymer material. 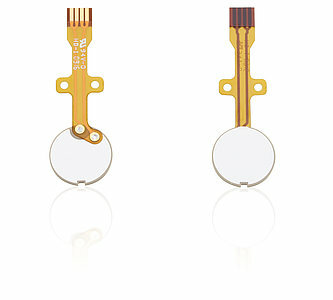 Standard contacts for piezo actuators are 100 mm stranded wires or soldering points. For each piezo element, different wires according to the AWG standard are used. External soldering guides are used for the parallel operation of all layers. Optionally the piezo actuators can be fitted with sensors to measure displacement. They are then suited for repeatable positioning with nanometer precision. For overheating protection, the actuators can be equipped with temperature sensors. For mechanical coupling of the actuators, specific end pieces (tips and bases) can be mounted. Possible designs are low-profile or spherical end pieces made of metal, ceramics, glass or sapphire. Application-specific end pieces can be manufactured on request. >> Bending elements can be constructed from piezo disks and plates within certain manufacturing limits. Constructed in series or parallel, they can be manufactured both in round and rectangular shape. Integration of piezo ceramics into customer products can be quite complex. PI Ceramic therefore also offers complete solutions, which can be integrated directly into the customer application. This includes both the individual electrical contacting of the elements, as well as gluing or casting the provided mechanical parts. The accelerated manufacturing process and the shortened delivery times are thus a true added value for the customer. The final assembly of these so-called subassemblies is performed under clean room conditions. Sensor components, actuators and actuator modules are also manufactured at short notice at PI Ceramic for customized medium and small series. 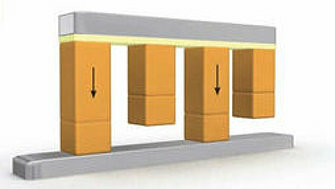 The state-of-the-art manufacturing processes allow a safe and cost-efficient transfer to large series. In addition to supplying components, PI Ceramic can, upon request, take on the mounting and procurement processes. 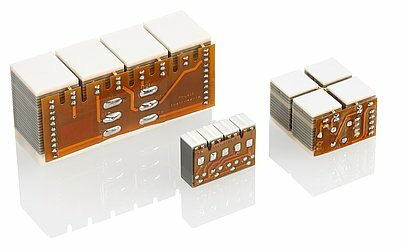 Piezo ceramics by PI Ceramic are the drive elements for the piezomotors of Physik Instrumente (PI). The piezomotors allow using the features of piezo actuators for longer travel ranges. The patented >> PiezoWalk® Stepping Drives with their complex design consisting of longitudinal, shear and bender elements and corresponding contacts, are manufactured entirely at PI Ceramic. 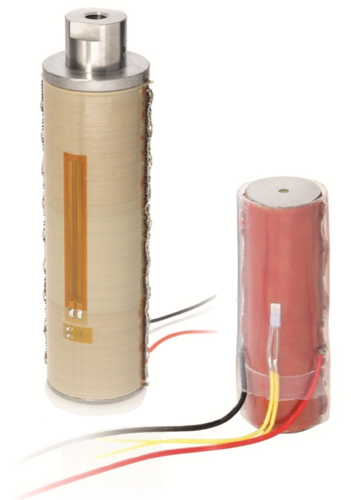 For large series, PI Ceramic supplies complete ultrasonic transducers with frequencies up to several megahertz for a wide range of different applications. 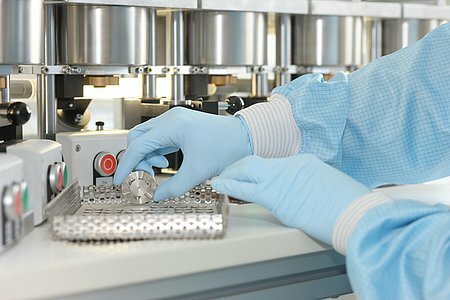 These include original equipment manufacturer (OEM) assemblies for ultrasonic flow measuring technology, and the measurement of filling levels, forces and acceleration. Connectors for piezo amplifiers can be connected according to customer requirements. Assembly of the components with printed circuit boards or flexboards is also possible. 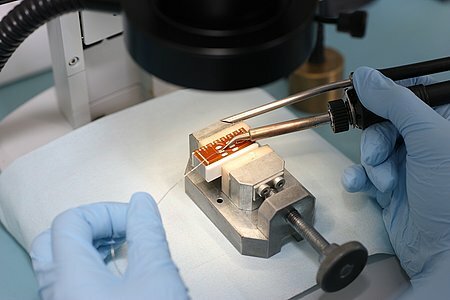 Ready-made piezo components with connecting wires are manufactured by specially trained staff using manual soldering processes. We have the latest automatic soldering machines at our disposal to solder on miniaturized components and for larger production runs.